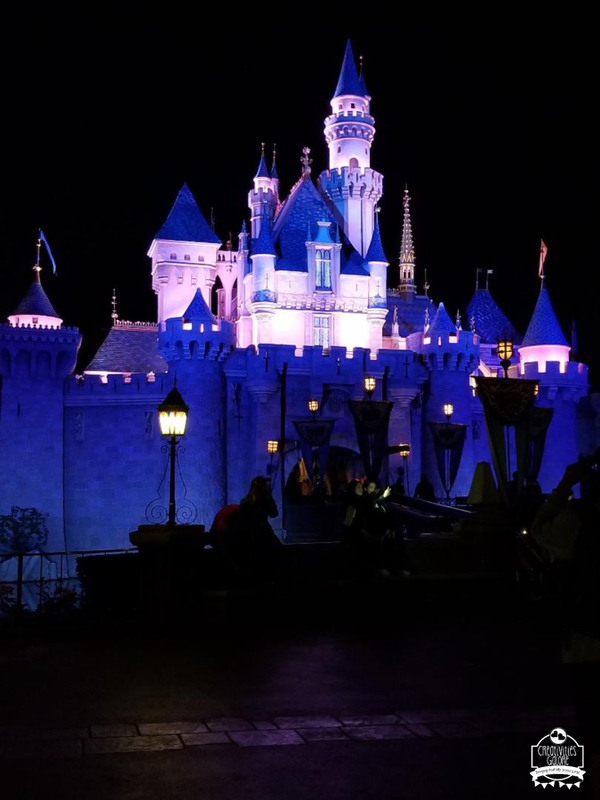 As someone who has been lucky enough to visit Disneyland many times since childhood I have learned some tips to make the visit more enjoyable and budget friendly. Today I will be sharing my top 10 Disneyland tips to help you out on your next Disneyland trip. Tip number 1 is to get fastpasses. 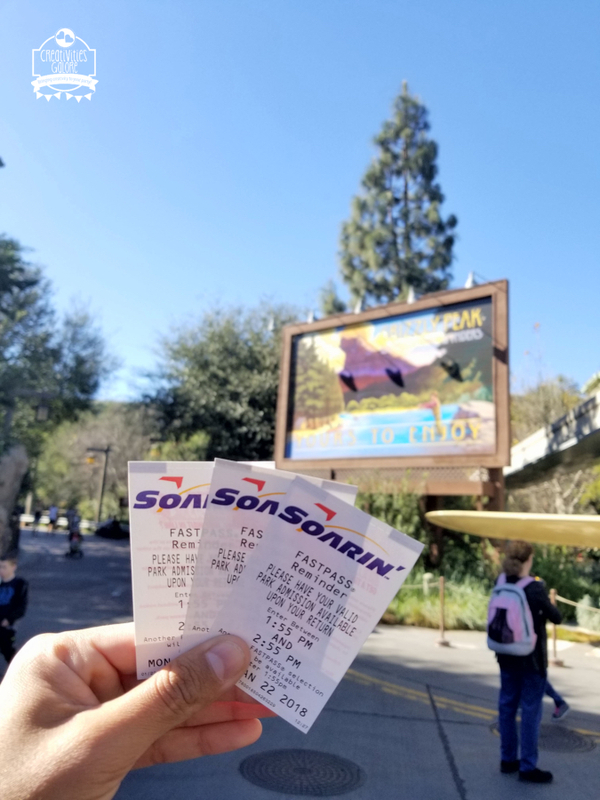 Disneyland has fastpasses for the most popular rides which tend to be the ones who have the longest lines. You can get your passes and go do other things while you wait for your return time to the ride. Tip number 2 is to take your own food. You can take sandwiches, fruit, and chips to avoid spending too much money on food at the park. 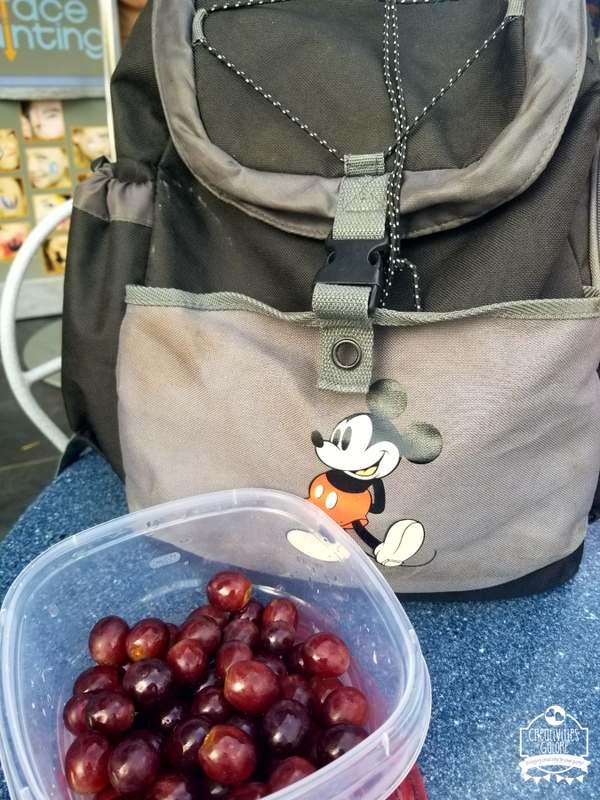 I have a cooler backpack that keeps our food cool while we enjoy the park. 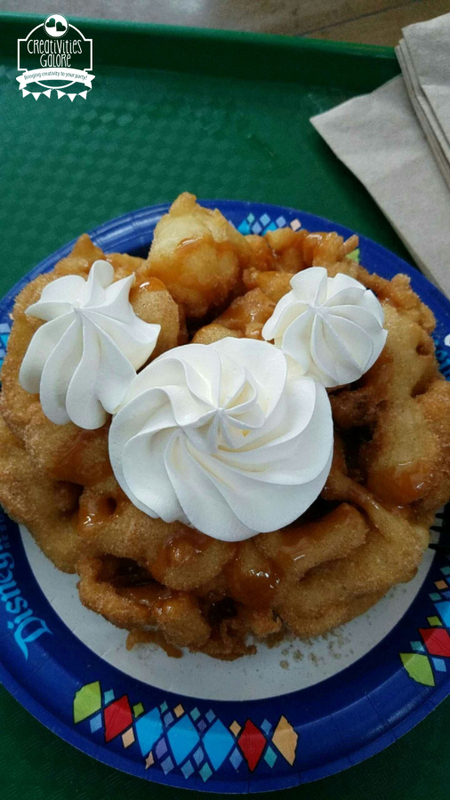 BUT since you are saving on food you can enjoy a yummy Disney treat like this yummy funnel cake. Tip number 3 is get FREE button pins especially if you are celebrating something. They have “I am celebrating”, birthday, wedding, and many more themes. Just ask a cast member and they will direct you to a near by location where you can get your button pins. Tip number 4 is to download the Disneyland app on your phone. 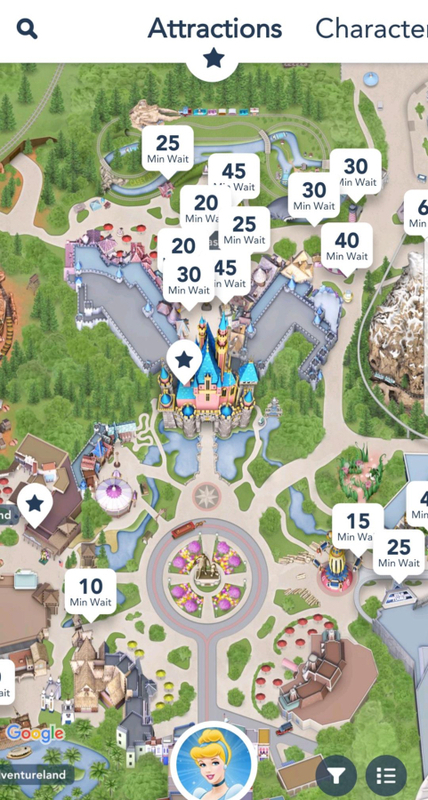 The Disneyland app can tell you the latest ride wait times, restaurants menus and prices, show and parade showtimes, plus many more things. Tip number 5 is short ride lines during parades or the firework show. If you have already seen the current parade or don’t have an interest in watching it then you can take advantage of the short lines while a lot of people do watch the show. Tip number 6 take the train to rest your feet. 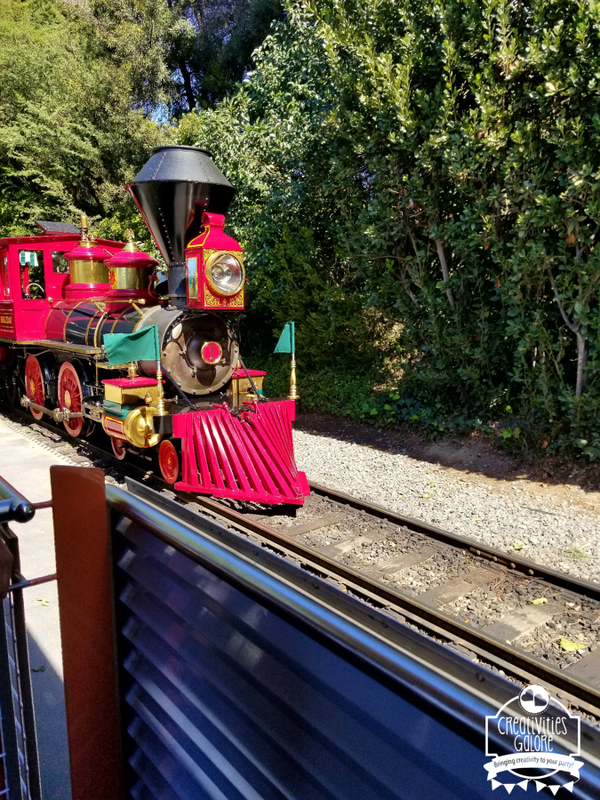 If you’re tired from all the walking just hop on the train and let it drop you off at the train station that is the closest to the next attraction to want to enjoy. Tip number 7 make your own Disney shirts. 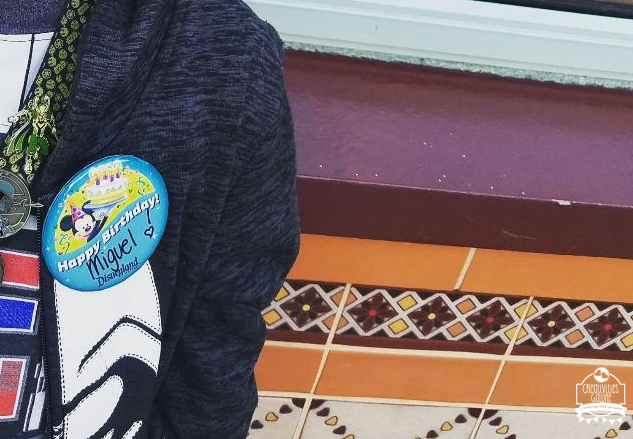 When you are already spending money on park tickets it can get pricey to buy everyone a whole new Disney outfit. 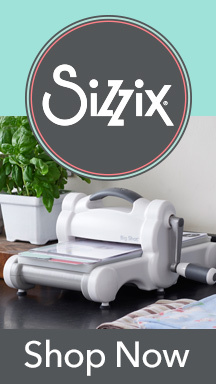 So it can be more budget friendly when you customize your own. 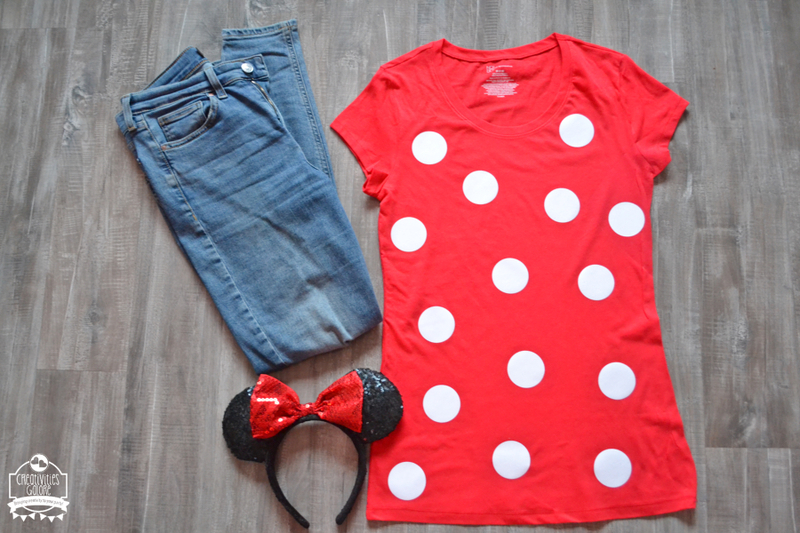 I recently did my own Minnie Mouse inspired t-shirt and you won’t believe how much the shirt cost me. You can go HERE to see all the details. Tip number 8 is to plan things your kids can do while waiting in line for the next ride. 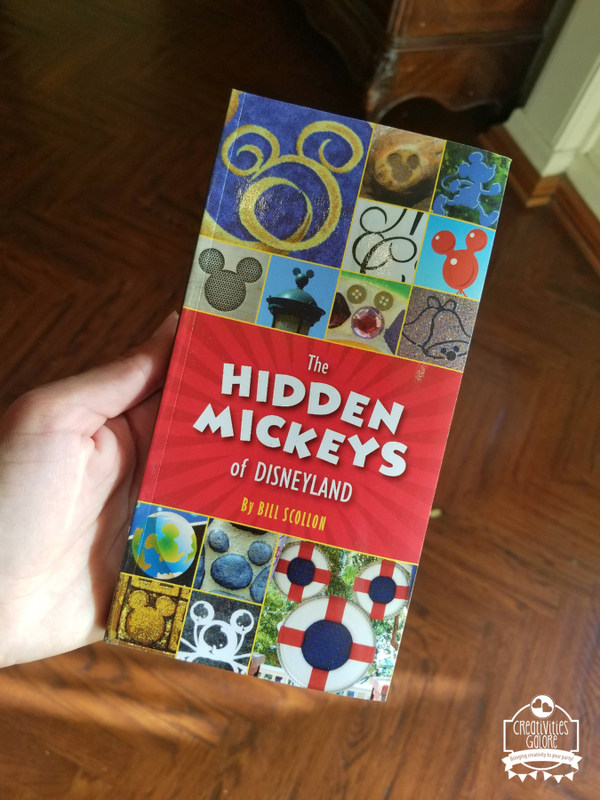 You can buy “The Hidden Mickey’s Book” at the park and while they wait in line they can look around for some of the hidden Mickey’s. Or you can make each child their own Disney activity book with the free printables I created. Tip number 9 is to NOT take filled water bottles. You can take an empty water tumbler and refill it at the park. You can either fill it up at the water fountains around the park or you can use the water feature at the soda pop stations in certain restaurants. And last but not least tip number 10, if you don’t intend on buying the pictures that the photo pass photographers take then simply ask them to take a picture with your own phone. 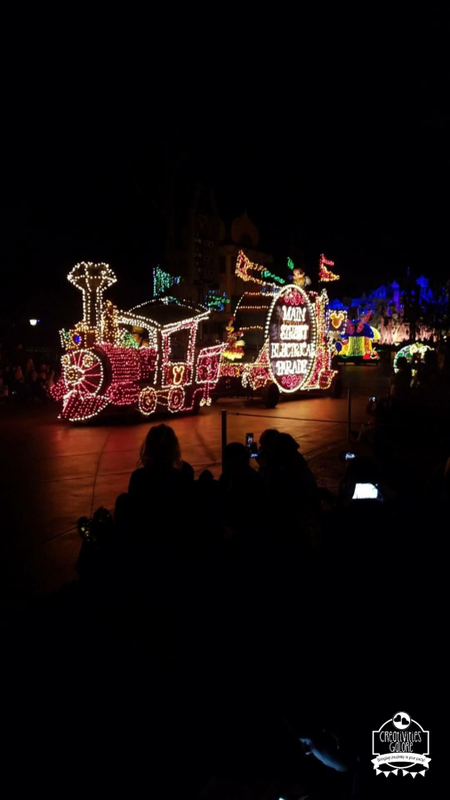 I hope that my top 10 Disneyland tips will be helpful for you next Disneyland visit! In Disney, Travel. Bookmark the permalink. All great tips! I never thought of the empty water bottle one! Thank you!